t happens from time to time that a Japanese traveling in the world falls in love with a place or person and that's where he sets up his business. But for a Westerner to start a company in Japan - it's a real rarity. And in the audio industry it is an absolute rarity. This is the case though - the BLACK CAT CABLE company located in the suburbs of Tokyo, where the production of its cables takes place. It is the work of an unusual person, Chris Sommovigo. This name has been known to us for at least a dozen or so years, because it is a man behind products of such brands as: Kimber Kable (Illuminati digital cable), Stereovox and Stereolab, and from 2010 also Black Cat Cable. I evoked the name "Illuminati" not accidentally, but because it is associated with something that is often called the "founding myth", meaning the story of the early beginnings. 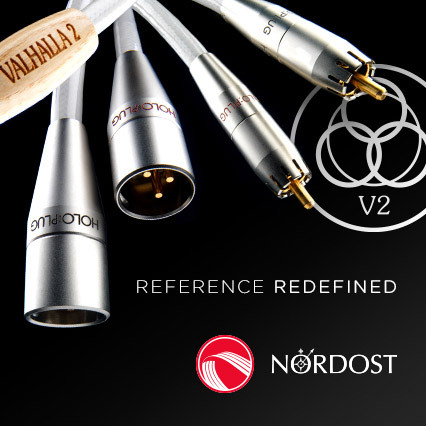 In this case, these are real events related to the first audio cable prepared by Chris, thanks to which he turned from an audiophile to a designer and later to a designer and manufacturer. As he mentions, it all began in 1991 in Los Angeles. He had a transport/DAC combo with Luxman transport and Audio Alchemy D/A converter. The devices were connected by a 75-ohm coaxial RG6 cable, used for example to connect the antenna and the TV tuner. As he said in an interview for the parttimeaudiophile.com, a befriended seller asked him to try the digital cable from Audio Alchemy. He agreed, although stated clearly that he didn't believe in any differences between digital cables (you can find full interview HERE, accessed: Apr. 05th 2018). He did try the cable out, and the comparison results were disappointing - the Audio Alchemy cable did not appeal to him. Differences though fascinated him, because - according to his knowledge – there should have had been none. Together with a friend, a radio frequency (RF) engineer, they thought it had something to do with the characteristic impedance of the cable not matching the load of the DAC. This conclusion led to creation of his first cable with precisely matched impedance of 75 Ω, which was supposed to fill the gap on the market – the aforementioned Illuminati. This is how the career of Chris Sommovigo as a designer began. A photo of my son Kai (11 years old) and I waiting for our hamburgers at EDY BURGER in Shimoda, Izu, Japan (BEST burgers in Japan!). 1992/93: The Illuminati cable arrives at the market, the first truly 75-ohm digital cable. I was 25 years old at the time. It took me a year and a half to get noticed by the market, during which I built a network of twenty sellers in the USA; I also had one in Hong Kong (First Impressions Music). 1994: Ray Kimber who heard about my cables called me. He was very interested in them and wanted to test them. When I sent it to him, he offered me a deal between our companies, thanks to which Kimber Kable (RKB Industrial) became a global distributor of the Illuminati cable. In 1997, Ray bought the entire supply of Illuminati cables from me, along with the copyrights to them - the contract covered three and a half years, during which I could not introduce to the market any competitive product. 2001: Between 1997-2001 I worked on Stereovox cables - these were my first commercially sold analog cables. The first models were LSP-600 and SEI-600. They featured unique connectors of my own design - ever since I've always used plugs I developed myself. 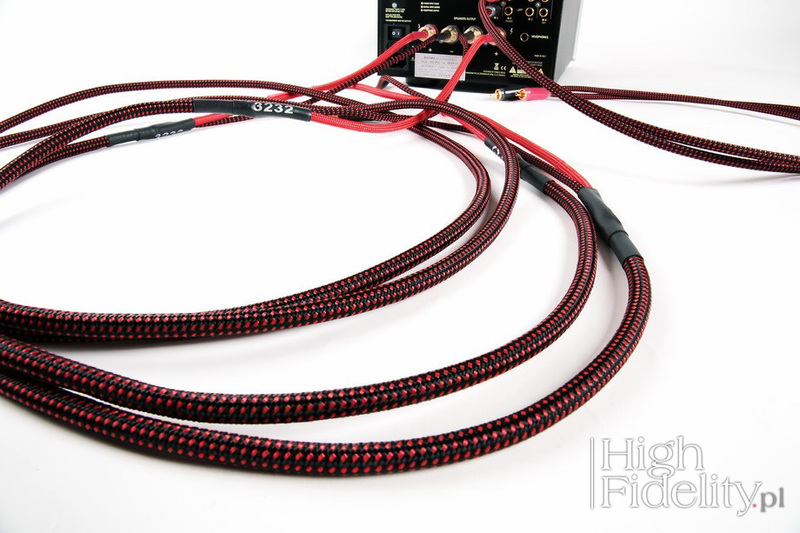 Between 2001 and 2010, I designed and introduced many cables to the market. During this time, my and my business partner's paths slowly parted and eventually each of us went our own way. For the next three years I used the name Stereovox, but I had to pay for that privilege because the name belonged to him. Finally, I changed the name of the cables to Stereolab. 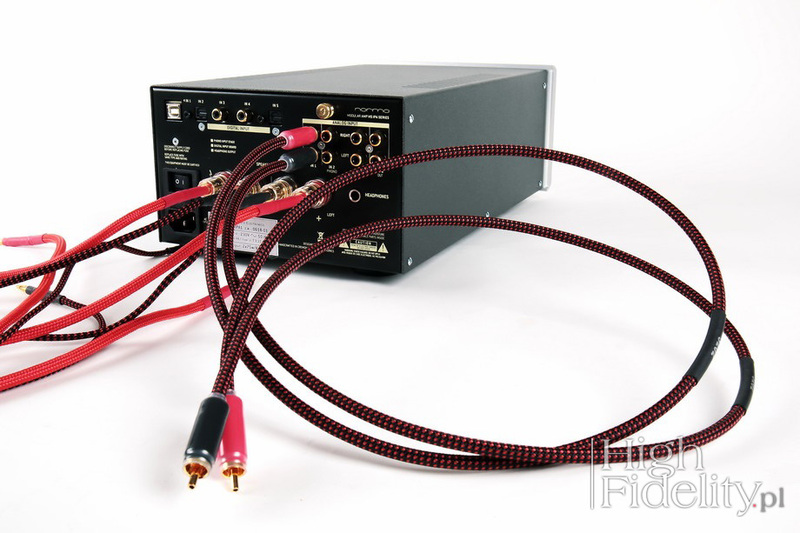 Some time in 2006 or 2007 I bought my first machine - it was a small, used winder used in the medical industry - and started the production of micro-braided cables that were used for cabling of Continuum Audio Labs Caliburn/Cobra turntables. This machine was also custom made for me by the same company, and it has some special capabilities that allow me to safely braid very fine, enameled wires without affecting the enamel, but the customizations made to this machine are also what allow me to make the very complex "ZMX" (Zoltán Matrix) conductor that I use in my Indigo interconnects. However, when the crisis came in 2008, sales of expensive cables decreased sharply and I had to design new, more affordable products to simply support my family. And so, in 2010, Black Cat cables were born. In 2011, I finally developed my own wire insulation process, which changed my situation - I did not have to rely on sub-contractors anymore. I could do everything myself and I finally started to experiment with new forms and ideas. In March 2014, together with my in-laws, I visited Japan. I clearly noticed the differences between the American and Japanese societies. 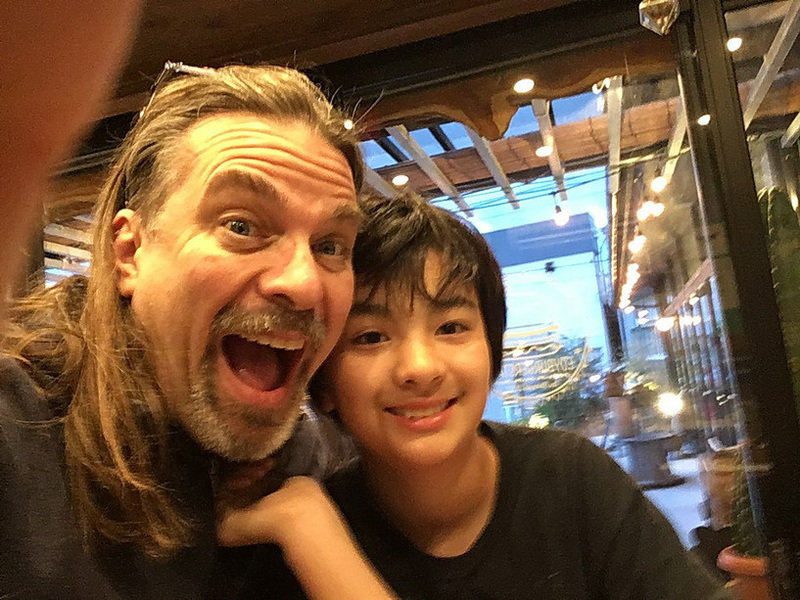 They were significant enough for me to came to the conclusion that I would prefer my children to grow up there in Japan. So we put things in motion and by the end of 2015 we moved. spirally rolled ribbon made of pure silver: „Ultranova”. Of course, I still offered also digital cables: Silverstar! 75, Digit-75, Digit-USB and Trøn. In 2017, some cables underwent modernization and obtained the status of "Model 2". At that time, a new interconnect , the 3202 was created based on an idea which contradicted the common approach to the construction of interconnects. This new series is really exciting for me because its performance - for the price tag – is really good and some aspects of sound are impossible to achieve in any different way. And that's a story about how I and my cables got to where we are today! It should be clear by now: Chris Sommovigo is not so much a designer, but rather an artist and an experimenter. He also has a soul of a warrior, so every brand he made cables for was been successful, and its products found numerous satisfied users. Let me add that the cables of his design often stay in audio systems forever despite the fact, that there are other, better ones on the market, but there is something special about them that one simply can't find anywhere else. 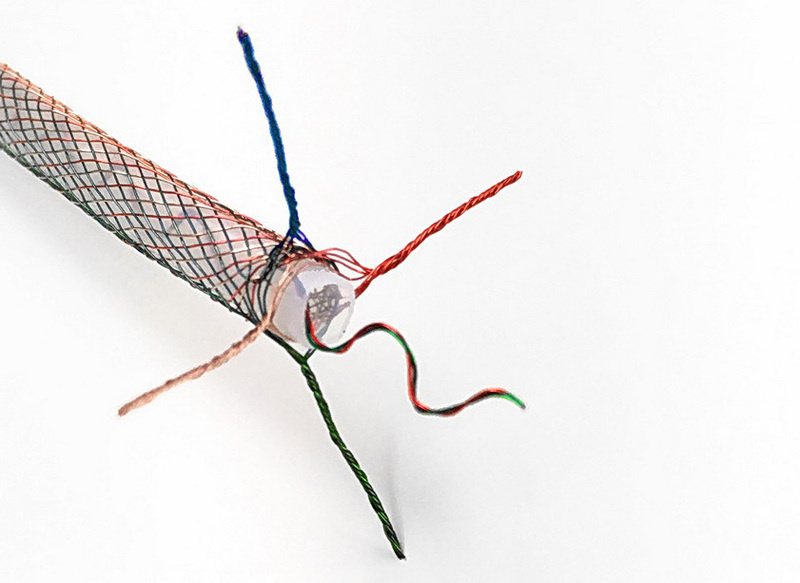 You can see the very delicate arrangement of very fine, individually-enameled pure copper wires in a braided matrix around the Teflon/Air tube, with "nami" processed internal wires that terminate to the ground plane. This is a twisted pair of individually-enameled copper wires, because sometimes we separate the two for balanced cables in order to terminate one of them to pin-1 ground and the other to the shell or chassis ground. 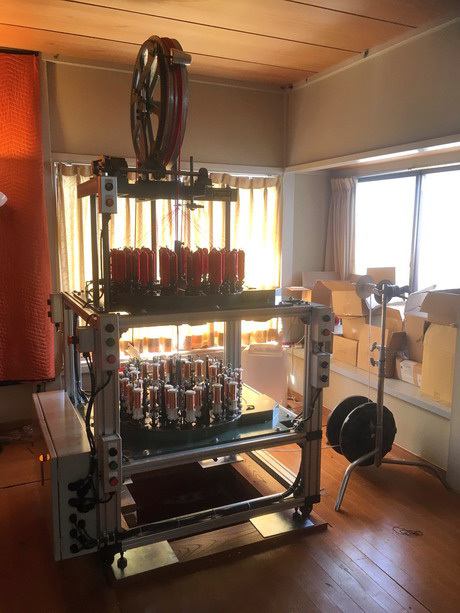 The new interconnect, Chris mentioned, could be made due to installation of two new machines custom-built for him, which joined the older ones brought from the USA. All production is done manually on them. What's more, it's a one-man company - every inch of Black Cat cables goes through Chris's hands. Only "bare" wires are outsourced. Even the packaging - simple and nice-looking - is made in his workshop. For this purpose he buys washi-paper (a hand-made paper) in a store that is 350 years old. The series of cables we review is the newest in the Black Cat range - it was launched on November 14th 2017. A separate website was designed for them - 3200series.com. 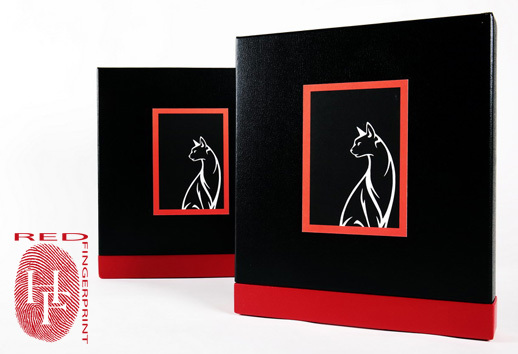 As you could read in "A few simple words ...", the owner of Black Cat every now and then tries new ideas that go against the generally accepted principles - mainly because he is able to test them and compare to other products. The 3202 interconnect was designed in this very way, by questioning the usual methods. 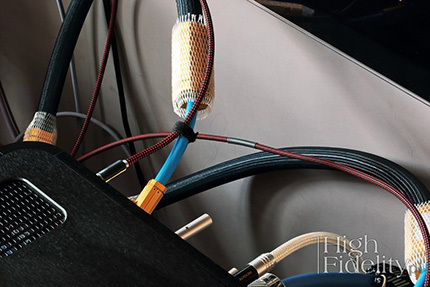 A classic signal cable, used first in recording studios and then adapted for home use, features a simple, concentric structure - with wires running in the middle (for RCA a single wire, for XLR two of them) and a braid. The wires transmit positive signal - for XLR in phase and out-of-phase - and the braid is a return wire, also acting as a screen. In 3202 he reversed this design, running the positive signal (+) OUTSIDE of the core, and the return signal INSIDE. Its predecessor was the 2014 Goldilinks interconnect. It was an eight-element braid (in the company materials "matrix" term is used), wrapped around an insulated copper tube; this is Chris Sommovigo's own solution, used by him since the early 2000s. In 2017, he decided to „turbo-charge” this design and increased the conductor-mass in the outer braid by 400%, decreased the dielectric constant, and employed a new process - called “Airwave” - to ensure that a quite-small center conductor would remain uniformly positioned in the air-dielectric of a thin-walled Teflon tube. A side-benefit of this new geometry was also an extraordinarily low capacitance. The interconnect is terminated with gold-plated Lovecraft Mini plugs. The name 3202 describes the number of the copper wires conductors used outside (32) and inside the tube (2). The outer coat is made using a self-developed technique - it is a kind of "braid", but it is spatial, wrapped around the core. Chris calls this Matrix-32 layout. 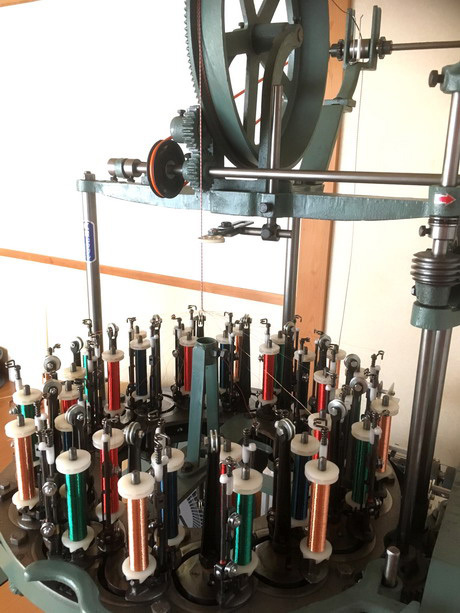 It is comprised of 32 individually-enameled pure copper strands braided into a very fine tube of counter-rotating helices around a thin-walled PTFE ("Teflon") tube. It is the same material as the one used in more expensive Matrix Mk interconnects. II.